Do you struggle with headaches or migraines? 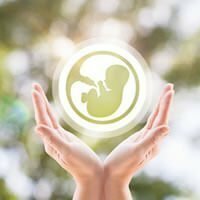 Are you trying to conceive or going through IVF treatment? Acupuncture is really relaxing ! Welcome! You’re probably here because you want to feel better. You might not remember when you last felt good and full of energy? You might have a musculoskeletal condition such as sciatica, back pain, tendonitis or frozen shoulder. Somewhere along the way you lost the connection to the healthy you. Maybe it was a stressful job that caused ongoing stress and exhaustion, maybe you never have time to eat properly. It could be you’re prone to musculoskeletal injuries, which doesn’t seem fair because you make the effort to exercise; maybe you don’t have time to exercise. Is it hard to switch your mind off or fit everything into a day? Perhaps there has been some overwhelming negative event or emotional issue? I look forward to sharing with you the secret that acupuncture is a therapy that can help get you back on track. I focus on you and your unique symptoms to develop an individualised treatment program. For example, I would probably treat five people a week with sciatica and no two treatments would be identical. Acupuncture addresses not just the symptom but also the root cause to help prevent or reduce recurrence of symptoms. 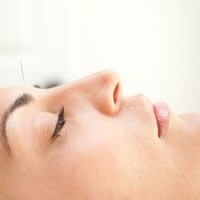 An acupuncture treatment might also address factors such as lifestyle and nutrition that help promote a long lasting shift in the underlying causes and promote optimal wellness. 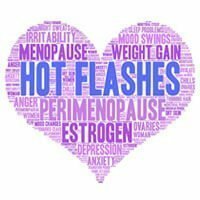 Acupuncturist Eileen Mannion offers acupuncture for a wide range of conditions with particular interests in fertility support, musculoskeletal problems, headaches/migraines, insomnia, stress/anxiety & other related conditions. Eileen studied at Masters level at the Northern College of Acupuncture, York, and is a member of the British Acupuncture Council. She works from a comfortable home treatment room and strives to provide the best care and support for her clients. Thank you Eileen, unbelievable! I woke up pain free this morning, I now just have to decide if I should risk the Sunday Run. I wanted to thank you for all your care, support and treatment and I am pleased to enclose a little photo for you of the beautiful result. In August, I gave birth to our precious baby girl. I can fully recommend Eileen Mannion Acupuncture. She helps me with a lower back problem and I always feel so much better after treatment.